All concerts are free. Offerings are appreciated. Ample free parking is available. Sunday, September 23, 10 a.m.
For our Sunday morning service, the North American Vocal Ensemble sings classic and modern anthems by Palestrina, Victoria, Chesnekov, Duruflé, Brubeck, and other composers. Orlando's own young Rising Star, now a senior organ student at the University of Notre Dame, plays masterpieces by Bach, Mozart, Mendelssohn, and Marcel Dupré. Sponsored by the American Guild of Organists. Reception following. Enjoy a uniquely fun event as the audience walks to several Downtown Churches. Begin at St. Luke's with organist Ben Lane plus trumpeters Lyman Brodie and John Almeida playing the Double Concerto by Francesco Manfredini and other popular trumpet tunes. Sponsored by the American Guild of Organists. Sunday, December 2, 6 p.m. In a deeply moving holiday service, our new Cathedral Men's Choir leads a Candlelight Procession through our Gothic aisles and arches. Come early at 5:00 for a Twilight Courtyard Reception! Sponsored by Bill DeTurk. Sunday, December 16, 6 p.m. Enjoy one of Orlando's favorite programs by the Cathedral Choristers with the Orlando Boys and Girls Choir and their alums, based on Lessons and Carols from King's College, Cambridge UK. Holiday reception afterward. Sponsored by Dr. Matt Gay. Monday, December 24, 10:30 p.m.
Carol concert and singalong with the Beautiful Music Chamber Orchestra and our Cathedral Choir, followed by Christmas Eve Midnight Mass at 11:00. 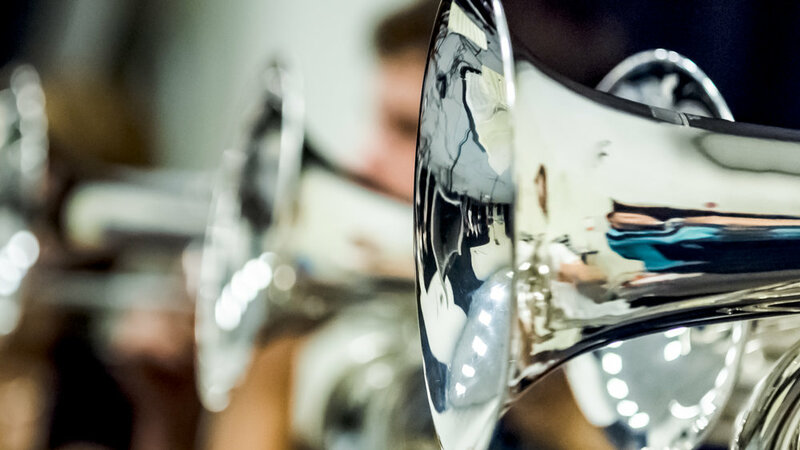 In one of Orlando's grandest acoustics, come hear our 26th annual spectacular concert for brass orchestra and percussion, with Ben Lane and Michael Petrosh at the organ. Sponsored by Mr. and Mrs. John Lyle. Over 100 of Central Florida's talented young Episcopal singers and their esteemed choir directors lead this annual service of Holy Eucharist. Sunday, March 31, 6 p.m. In an inspirational program of original compositions and improvisations, this international virtuoso of the Egyptian Oud performs on a Sunday evening with a chamber orchestra and various choirs of the Cathedral. Also enjoy music by Schubert and Albinoni, and favorite hymns. Free admission, Free parking. Don't miss this profound Service of Darkness led annually by the Cathedral Chamber Singers with a cappella sacred works from all eras and the dramatic narration of Christ's Passion.